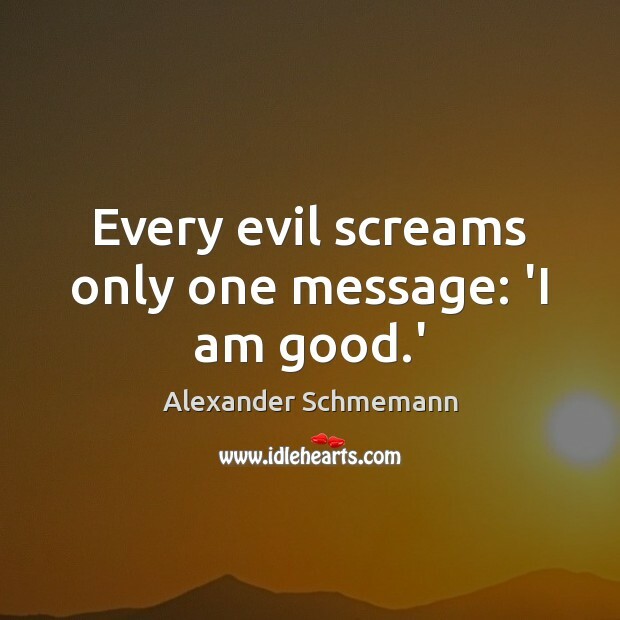 Enjoy the best inspirational, motivational, positive, funny and famous quotes by Alexander Schmemann. Use words and picture quotations to push forward and inspire you keep going in life! 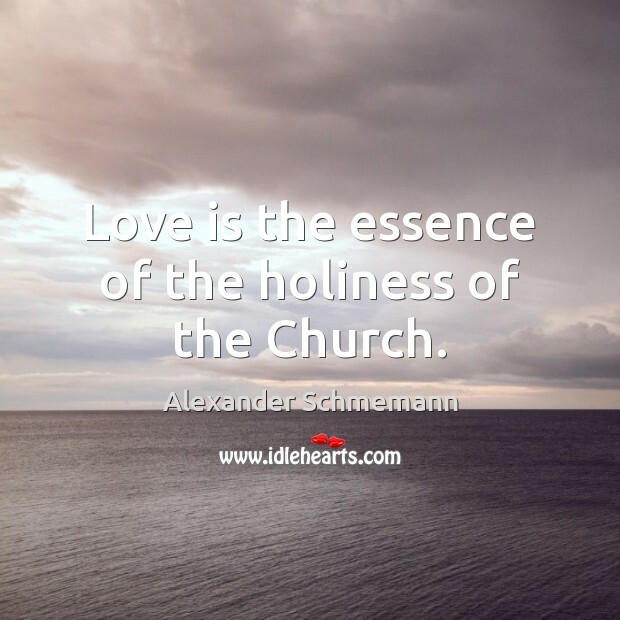 Love is the essence of the holiness of the Church. 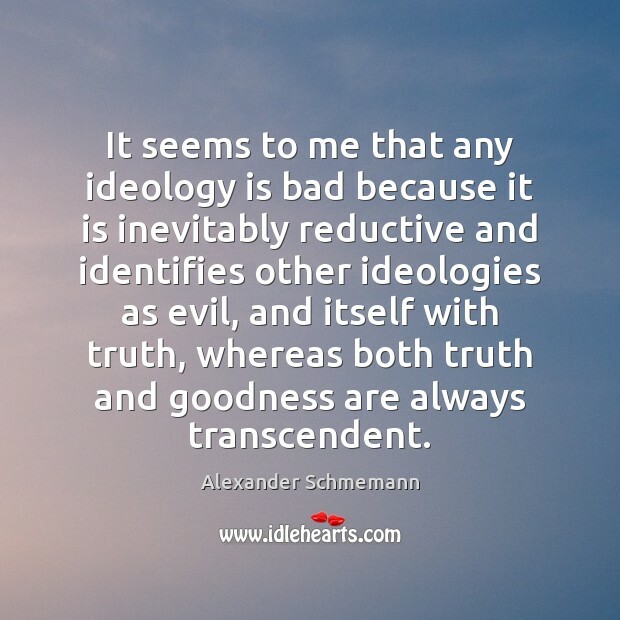 It seems to me that any ideology is bad because it is inevitably reductive and identifies other ideologies as evil, and itself with truth, whereas both truth and goodness are always transcendent. Man is a hungry being. 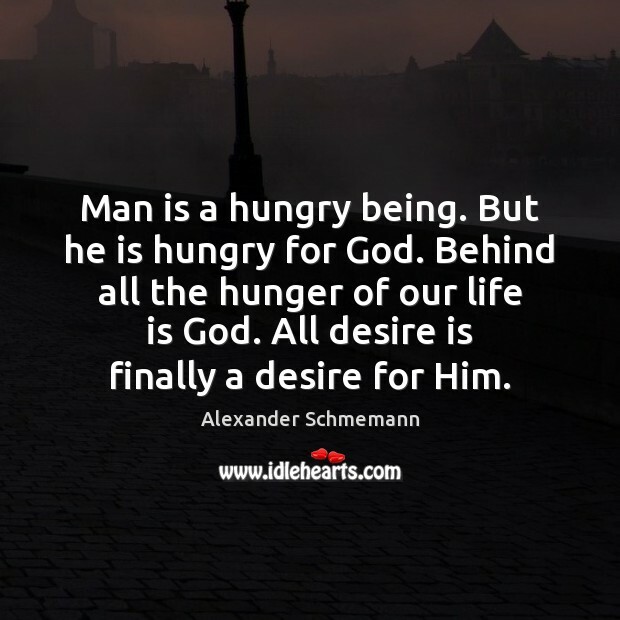 But he is hungry for God. Behind all the hunger of our life is God. All desire is finally a desire for Him. 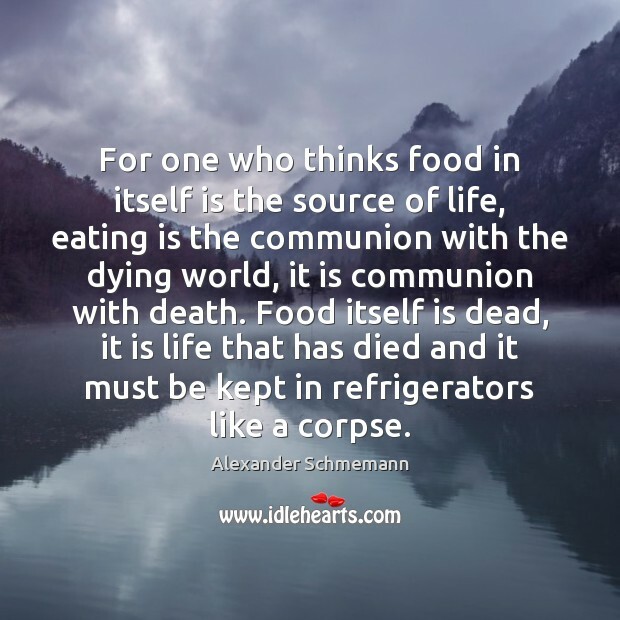 For one who thinks food in itself is the source of life, eating is the communion with the dying world, it is communion with death. Food itself is dead, it is life that has died and it must be kept in refrigerators like a corpse. 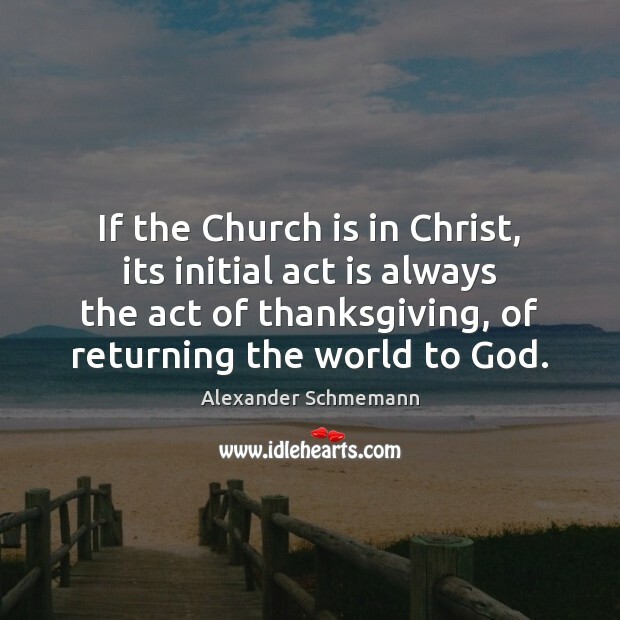 If the Church is in Christ, its initial act is always the act of thanksgiving, of returning the world to God. 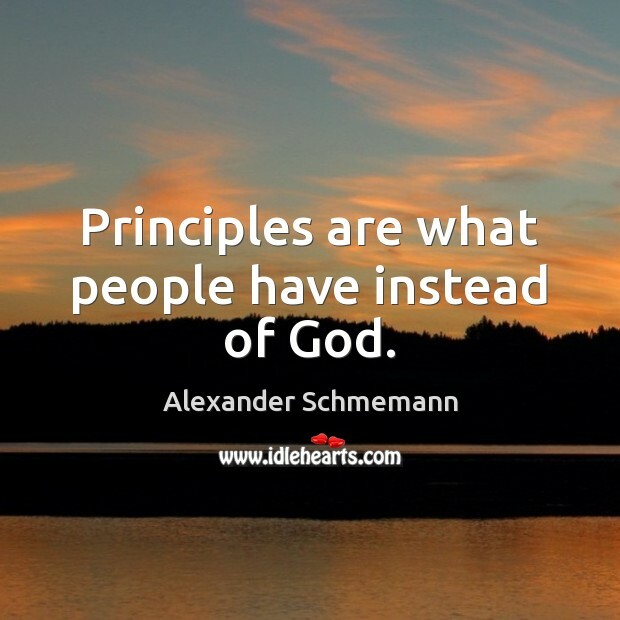 Principles are what people have instead of God. 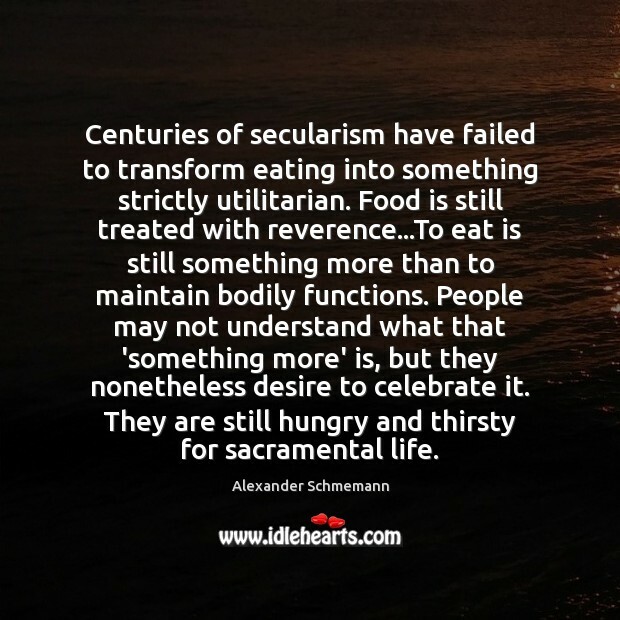 Centuries of secularism have failed to transform eating into something strictly utilitarian. Food is still treated with reverence...To eat is still something more than to maintain bodily functions. People may not understand what that 'something more' is, but they nonetheless desire to celebrate it. They are still hungry and thirsty for sacramental life. 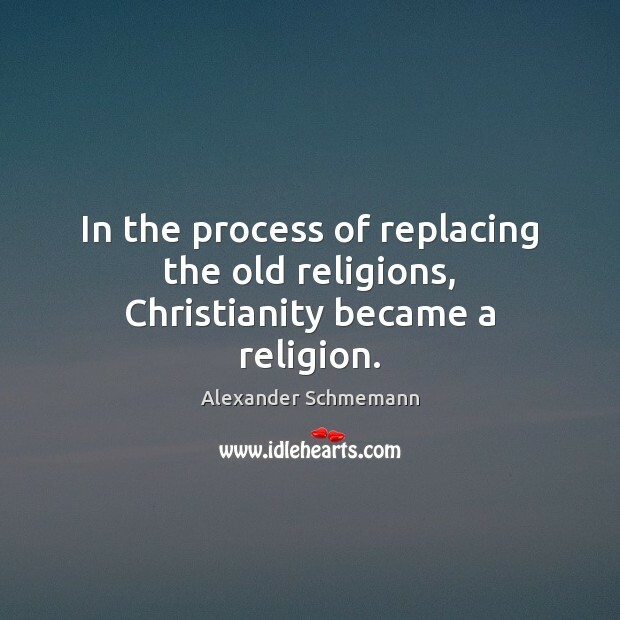 In the process of replacing the old religions, Christianity became a religion. 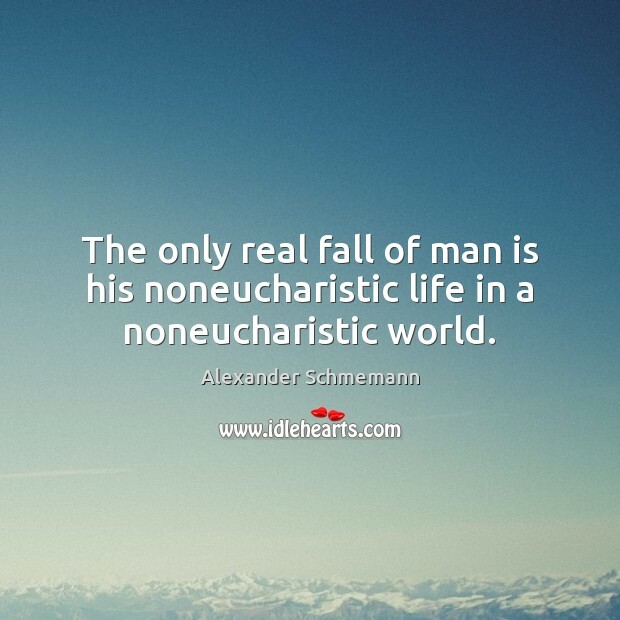 The only real fall of man is his noneucharistic life in a noneucharistic world. 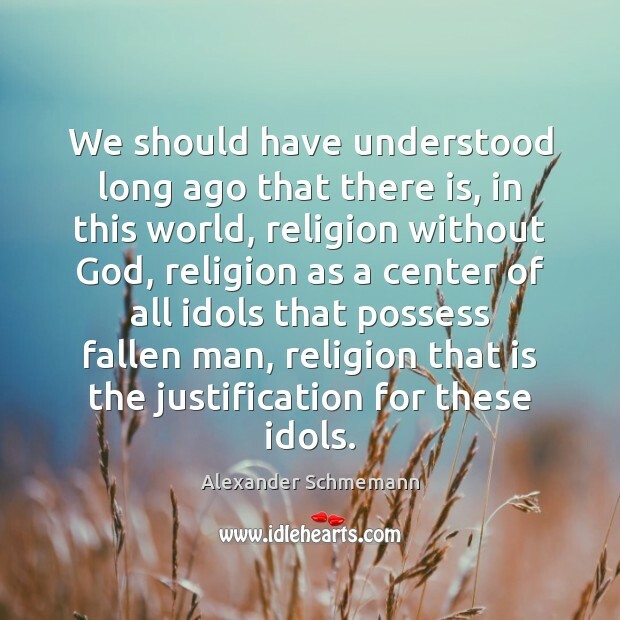 We should have understood long ago that there is, in this world, religion without God, religion as a center of all idols that possess fallen man, religion that is the justification for these idols. 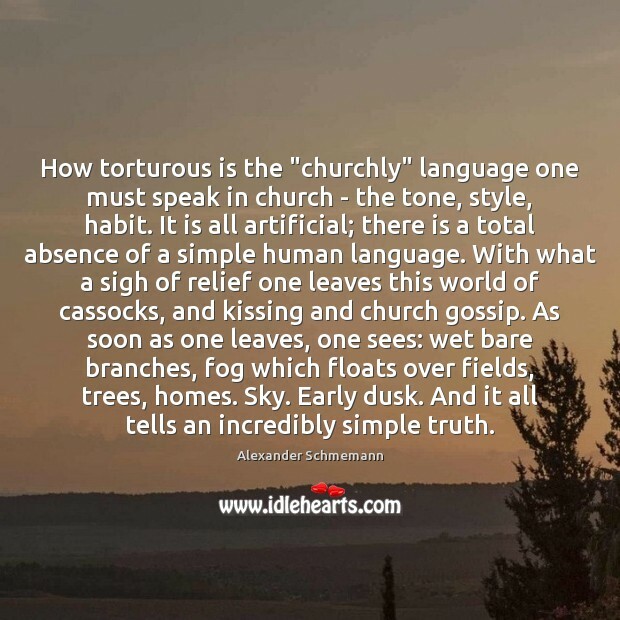 How torturous is the "churchly" language one must speak in church - the tone, style, habit. It is all artificial; there is a total absence of a simple human language. With what a sigh of relief one leaves this world of cassocks, and kissing and church gossip. As soon as one leaves, one sees: wet bare branches, fog which floats over fields, trees, homes. Sky. Early dusk. 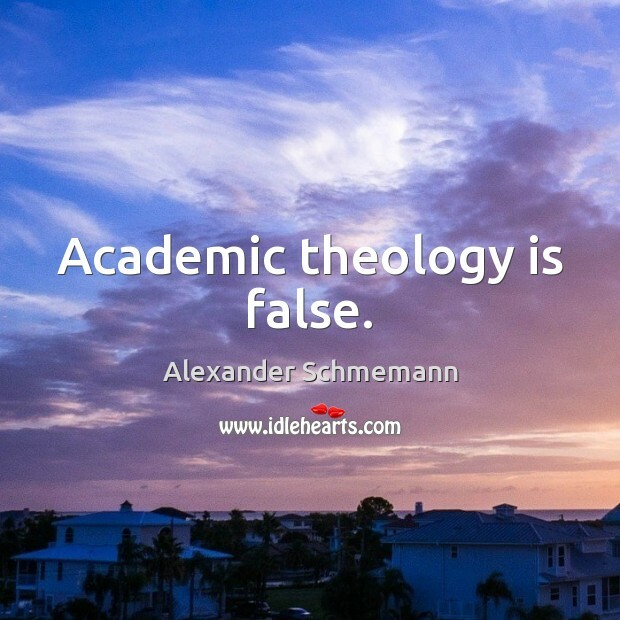 And it all tells an incredibly simple truth.